Joyce also turned his hand to theatre and, inspired by the work of Henrik Ibsen, produced Exiles in 1914. 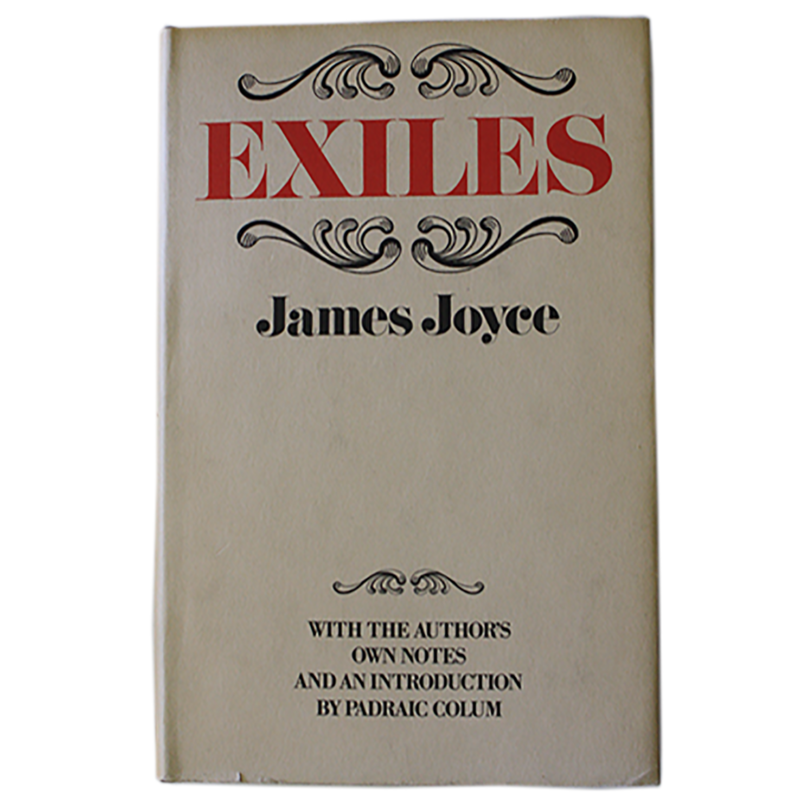 Exiles features many of the themes that pop up repeatedly in Joyce’s work but, unlike A Portrait of the Artists as a Young Man and Ulysses (between which Exiles was produced), never managed to attain the same status of success as Joyce’s novels. The play is set in the Dublin of 1912 and the plot revolves around the character of Richard Rowan and his intellectual dilemmas as to whether he should settle down in Ireland as a lecturer in Romance Languages or flee the nest as Joyce himself did. There is a fear that if he decides to stay it will leave him in a state of paralysis and bitterness and at the play’s end we do not find a resolution, only a deep longing for love and understanding on the part of Bertha, Richard’s wife and a deep weariness on the part of Richard himself. The play has much autobiographical information relating to Joyce’s early experiences of exile in Europe which is of interest. One also gets an insight into Joyce’s preoccupation with jealousy and betrayal in love. Exiles was rejected by numerous establishments in England, Ireland and America including W.B. Yeats at The Abbey Theatre. It was first produced in Munich in 1919 and since then the only significant production arguably came from Harold Pinter in the Mermaid Theatre, London in the Winter of 1970/1.